Don’t you simply love the aroma of fresh morning coffee? Now, imagine that aroma all around in the air perpetually. No, it isn’t a fantasy world but India’s very own coffeeland- Chikmagalur! A tiny town in Karnataka, Chikmaglur, besides producing almost all the Indian coffee you have had in your lifetime, is also famous for being a quaint getaway for busy city folks. However, don’t mistake it to be a sleepy town as there is a lot you can do here. Taking a walk in the coffee plantations and being content all the time seems to be the favourite pastime of travelers visiting Chikmagalur. 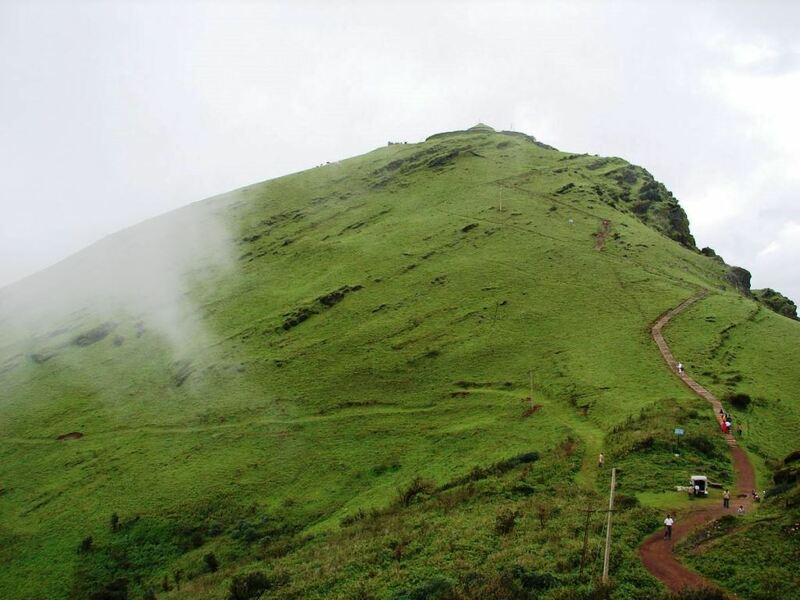 If you need something more adventurous, how about hiking to the highest peak in Karnataka? Or visit a wildlife sanctuary? Or enjoy a waterfall in the wilderness? Whatever you do in Chikmagalur, you are bound to fall in love with nature all over again. Standing tall at 1930 Metres, Mullayanagiri is the highest peak in Karnataka. It is, without a doubt, the best place to view a sunrise from. It is a part of the famous Bababudangiri Range, 25 Km away from Chikmagalur. The peak is almost always covered with clouds and surrounded by a chilly breeze. Travelers can take their vehicles very near to the peak and then climb close to a 100 steps to reach the peak. All the effort seems worth when one reaches the top. There is nothing all around other than mist and you literally feel at the top of the world! Let’s admit it. Chikmagalur is all about coffee. No matter where you are or in which direction you look, you either see a coffee plantation, a person savouring his coffee drink, or people in general talking about coffee. If you are a nature lover and a coffee enthusiast, there is no way you can resist a walk through the coffee plantations. The best time to visit the coffee plantations is from Mid-December to Mid-January. This is when the coffee beans are plucked and the plantations can be viewed in all their beauty. 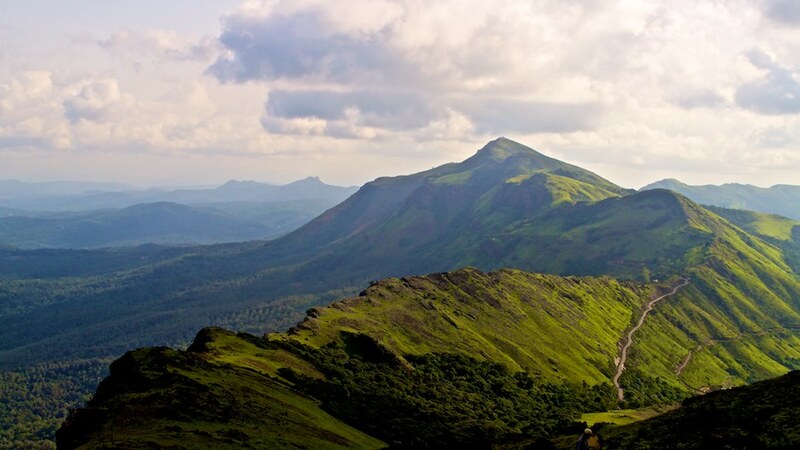 Literally translated to ‘Horse’s Face’, Kudremukh hill is named after the shape of the peak. It is the second largest National Park in Karnataka and covers an area go 600 Square Kilometres. At a distance of 96 Kilometres, although it is a bit away from the town of Chikmagalur, its rich diversity of both flora and fauna attracts thousands of traveler every year. The Kalhatti falls are located around 50 Km from the main city of Chikmagaluru. 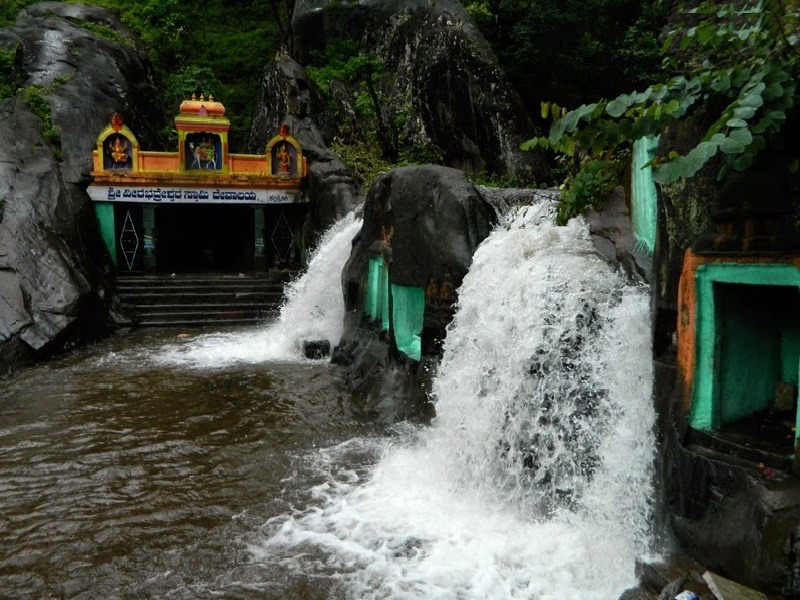 Like a lot of destinations in India, this waterfall has its place in myths and legends as it said a renowned sage prayed here for a long time and the water flowing here has healing powers of its own. That’s why it has a temple built right next to it. You can climb the slippery rocks leading to the waterfall to enjoy the cool, cascading water. Stop here for some time to enjoy the wilderness around you. Capable of mesmerising even the seasoned travelers with their beauty, Bababudangiri hills are the not-to-be-missed-at-any-cost destination near Chikmagalur. The best time to visit is from September to March. The beautiful grasslands on these hills will make you want to build a little hut for yourself and stay here forever! Although going on picnics is a thing of past, Bababudangiri hills will make you want to revive the picnic culture. You will want to take out your food and sit on the soft grass, trying to find words to admire the beauty around you. 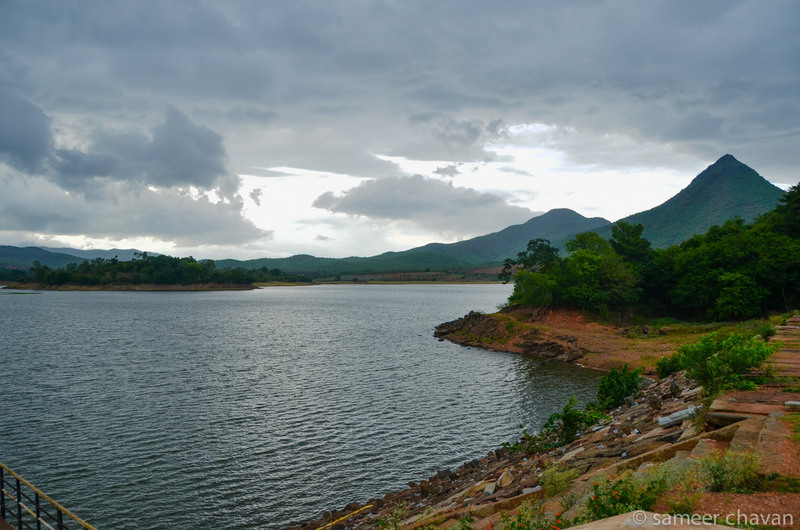 The second-biggest lake in Karnataka, Ayyanakere, is located 20 Km away from Chikamagalur. After you have watched the sunrise at Mullayanagiri peak and descended to Chikamagalur, you should visit the lake in the evening to relax and watch the sunset. If you are too mesmerised by the sunset and don’t wish to leave, you can also set up camps alongside the lake for the night. Catch some fishes from the lake and cook under the moonlight. What more can you want from a perfect night? No matter how many days you spend in Chikmagalur, one trip is never enough. Sooner or later, the memories of the city’s beauty will overwhelm you and you will find yourself packing your bags and heading back to refresh those memories.